Kathmandu : Syakar Trading Company Pvt. 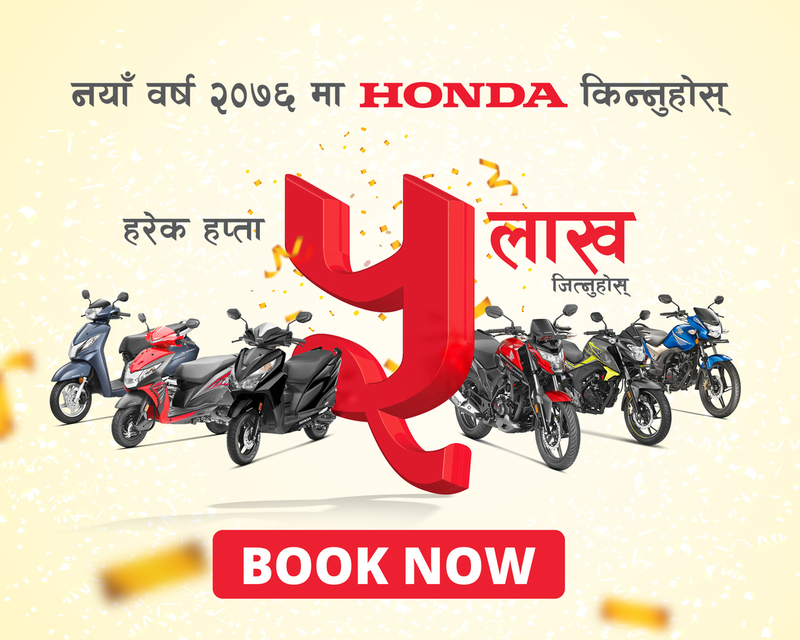 Ltd., the exclusive distributor of Honda Generator and others Honda Power Products in Nepal, has announced a new scheme “SWITCH ON HONDA – WINTER OFFER”. In this scheme, on every purchase of Honda Generator & Power Products priced below Nrs. 150,000/- will earn you a Spice Mobile model no. M – 2455 . 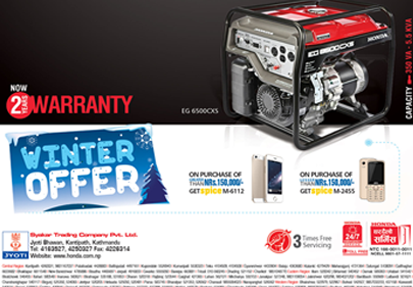 Also on every purchase of Honda Generator & Power Products priced above Nrs. 150,000/- will earn you a Spice Mobile model no. M – 6112. This scheme is available in all Honda Showrooms, Branches & Dealers of around the country. Syakar Trading Company Pvt. Ltd., provides 24hrs 7 days emergency service, home service facility, 3 times free service & 2 yrs of warranty on it’s Honda Power Products. Syakar has been selling Honda Generator of 350 VA to 5.5 KVA capacities from more than last four decade in Nepal market. These Generators and others Power Products are popular for it’s high quality, fuel efficiency, reliability, environment friendly, low running cost & noise. In this segment Honda Power Products are among the best selling Power Products in Nepal.